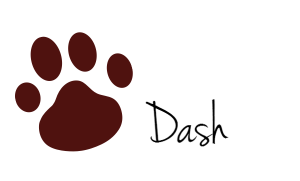 Hey everyone, it’s Dash here again. I’m back with my advice on discounts! But before any of that, a very Merry Christmas to you all! Hope everyone has had a lovely weekend and start to their December. It has been another busy week for us here at the office. I think it’s starting to feel very festive now, what with both the decorations going up today and our annual ‘Christmas Jumper Day’ just around the corner. All the proceeds of which will be going to Save The Children, so make sure to keep an eye on this blog or follow us on Twitter or Facebook for any future updates! Pickles and I have also taken another moment out of our busy schedule this week to give you some advice on the best discounts currently available here at White Horse Surveyors, over the Christmas period. This time our update is all about our referral schemes and, more specifically, the refer a friend program! Did you know that we offer a £30 Amazon gift voucher to ANY customer, simply for referring our services to friend? A coupon that is especially useful over the festive period. When it can either go towards, or even make, a great gift! You can register for this scheme when booking a survey online or even over the phone, with our expert and friendly sales team who are available to take your inquiries on 01249 569010. All you need to do is provide the date, address and (if possible) original reference number of your survey, alongside your friend’s contact details. Alternatively, you can apply for the voucher by providing this information via email, to sales@whitehorsesurveyors.co.uk. Anyways, I must be off! Hope everyone continues to enjoy December and manages to save a few pennies on their present shopping by using our referral scheme!